Having the right technology in place is an important part of any operation. As the legal system continues to make the shift toward incorporating technology into the legal profession, law firms can benefit from having a number of options that will improve productivity for clients and legal associates. Knowing what types of software and hardware will benefit your firm is important in establishing a secure infrastructure. Using a trusted technology resource to improve the day-to-day operations while maintaining high levels of security is key. Security within the legal landscape is of the utmost importance, and understanding how a secure system correlates with maintaining the integrity of your client files and information is invaluable in the delivery of services. 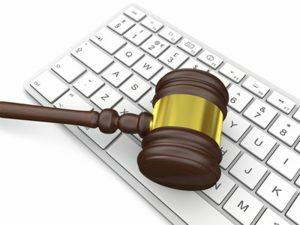 eDiscovery has quickly become a viable solution to seek and retrieve information that will assist legal professionals in their profession in and out of the courthouse or other legal settings. eDiscovery helps determine which case law will be relevant for application, preparation for cases, and maintaining high levels of security within a paperless setting. Forensics are enhanced when using technology. Legal firms can directly connect to police stations and other forensic organizations to retrieve information and work collaboratively in getting the information they need for certain cases. Being able to access information stored in the “cloud” helps protect confidentiality of sensitive information while getting the job done. Using technology instead of harboring paper-based records has created an additional layer of security for legal firms. With the right protocols in place, documents can be limited to particular individuals, providing a trail of who has access sensitive files. This increases security and accountability within the firm. Having the capabilities to be discreet in handling conversations and keep information from prying eyes is important. Clients appreciate having peace of mind in knowing their documents and private information is safe and secure. We provide an extra barrier of protection to ensure every associate has the ability to determine who can and cannot access their files. Clients are pleased when they can sign documents and handle confidential transactions through technology. We integrate processes that alleviate travel time, through cloud-based systems and video-conferencing to accommodate those situations where business can be handled without office interaction. A firm’s reputation is contingent on its ability to get the job done in a discreet and professional manner. Through every level of operations, The Technology Experts has a solution that will increase productivity and efficiency for the entire firm and its associates, whether working in or out of the office. We provide options that allow your associates to access information and communicate with the office anywhere in the world. Our systems make it possible to avoid situations where files you need have been left in the office. Every important process can and should have remote capabilities within their infrastructure. The Technology Experts, LLC supports both small and large firms, and can assist in creating an infrastructure that will improve processes while providing resources and solutions in servicing clients. Having the right software and hardware in place will help provide support to staff members while positively building your brand. Contact an associate to see how we can assist in improving your operations while enhancing your leverage within the legal profession.